Sports have long been a significant part of Nevada’s culture. Whether you’re looking for a good place to bet on the game or you want an ice cold beer, you’ll find exactly what you need in the Silver State. 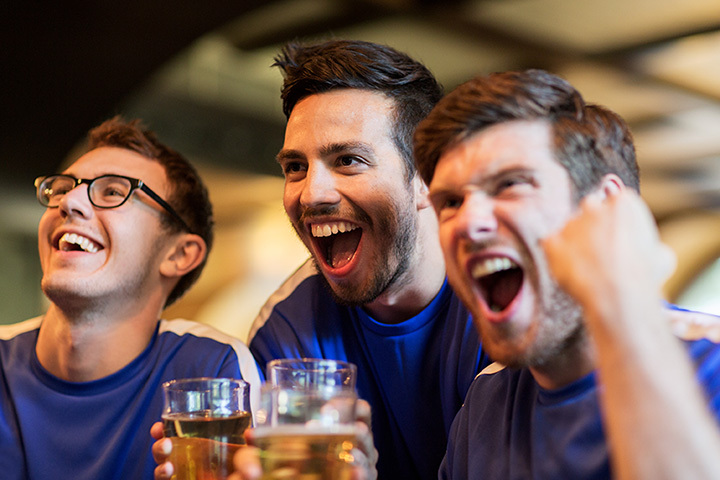 So the next time you are looking for a big screen to catch the game or race, explore a few of our picks for the best sports bars! Just inside the border of Nevada, the Lucky Beaver is truly lucky for locals who want to enjoy the best of sports betting without going into one of the bigger cities. Open 24/7, this place is known for the best beers on tap and a full menu at any time. This local secret is open 24/7 serving amazing Greek food and cold beer on tap. Walk in there at any time, day or night, and you will find a friendly local crowd enjoying sports on the many televisions throughout the establishment. This well-loved chain offers the best in sports-viewing opportunities. The pub-style restaurant serves traditional bar foods done right, a large selection of beer on tap, and plenty of excellent spots to watch the big game. Come out and enjoy great food and delicious beer at Miller’s Ale House. For anyone wanting to sample local beers while not missing out on your favorite team's game, this is the spot. They offer hard to find, delicious beers and the games on TV always vary. Whether you are a local looking for a fun new spot or visiting on the search of a place to watch college ball, this is worth the stop on the strip. The perfect spot to find a college crowd enjoying sports and drinks. This pub offers a slightly different spin on a traditional sports bar as they offer hookah, as well. You won’t want to miss out on the night life with specials geared towards fun. Tasty bites are the star of the show at this sports bar, serving some of the best wings for miles. They offer games on every TV with food that keeps everyone tummy pleased. The selection of beers on tap are just the thing to refresh a roaring crowd cheering for their favorite team and the attentive wait staff makes sure that glasses are always full. Not only does this pub support its customers in their watching choices, but they are also well known for being a major part of local sports. The pub sponsor teams with hometown pride and welcomes guests new and old as family. The food goes above and beyond the average pub grub serving up zesty appetizers that complement ice cold beers. Seasoned and cooked to perfection, the wings at Jox are the perfect bite. Get a filling, mouth watering meal without breaking the bank. This small bar is a staple for locals and college students alike. Known for having a very friendly and upbeat staff, Jox is the perfect place to enjoy a brew and watch your favorite team win! Jack’s Place serves up mouth watering dishes with their chicken pot pie being the all time crowd pleaser. The relaxed atmosphere coupled with the friendly staff keeps the locals coming back on a regular basis. You will always be greated with a familiar face and leave with a satisfied belly.